We use diverse media to create interest and engagement in science, fostering conversations and dialogue between science and society. Simple language does not mean simple thinking. Overcoming barriers to science communication is an essential part of engaging with audiences and Jive Media Africa has been recognised for its role in the development of the discipline of science communication. The Science Spaza programme delivers curriculum linked hands-on learning activities to young people in a network of science clubs across all 9 provinces of South Africa. 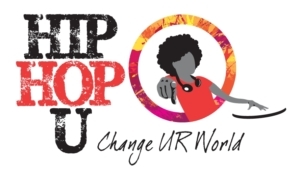 Hip Hop U (Change UR World) is an adolescent health and music engagement programme. This is a collaboration between members of Science Spaza science clubs, popular music artists, and health researchers to address health challenges facing South African communities. View or download the Hip Hop U brochure here. #TheArtofResearch is a multidisciplinary programme to foster creativity for public engagement among scientists and researchers. FameLab was initiated in South Africa by Jive Media Africa in 2013 and has developed science communication and public speaking skills among hundreds of young scientists.